1) Please, can anyone tell me can I set the sound recorded using its voice recorder be set as ringtone? Or is it impossible? 2) Which type of file should I download using GPRS if I want more ringtones? u get easily bored with this. i got mine nd now cnt find da datacable for it.. the sliding part gets very easily scrached. nd the set becomes very loose. its size is huge its weiredly bulky.charge stays for 2 days. cam is average nothin too impressive.. but like the frames in it.photolight is a joke. hai! i bay the panasonic DX-500 in the month of june. but iam not felling happy because in this one there is no send option for ring tones & logo insert option. and iam geting only 03 hours battry backup if continewly talk. if u know any solution for my problems please give me any options to rectfied my problems. 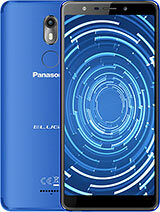 i bought an panasonic x500 phone but in sri lanka the people are who selling this phones won't give the handfree kit and also the data cable.so i have lot of pictures and clips but how to transfer all the data to the computer..
Hi! 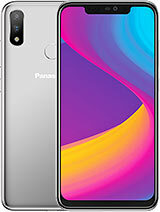 Did anyone found out how to transfer videos from this phone? i have the data cable but the software doesn`t allow me to transfer videos that i`ve recorded. can anyone tell me if this phone has usb or any port we can connect to the pc? How many days the battary live? Every Panasonic I've ever used, was very good, perfect quality! This phone follows the tradition. I wish they were still at the top of mobile manufacturers, like in the 90's with their excellent GD-series. 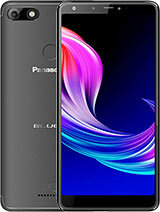 This phone whit this style is very good in this class and very different,camera with blic is very good, GPRS work good but i have same problems whit my batery live and i dont how transffering my information of my phone to my PC. I have got a data cable. But i can only transfer pictures to my PC not the animations. *if any1 knows bout it plzzz mail me, bout how to do it*memory is very less to perform certain gprs operations. The RSA SECURITY SYSTEM is VERY POOR and it do not supports the WAP. I'VE tried a lot but only 1 message appears wat does it mean?? This phone does not hav a good resale value. Only style does not matters but but quality does. 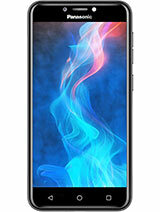 Hey, I love this phone apart from the fact that the screen sometimes dies and the phone restarts. There is a problem with the MMS and WAP settings in the UK. But I think the display bugs me so much, when the slider is down it luks fine, but when u reveal the keypad, the display appears to have lines on it, and sometimes the display can go all fuzzy and appear to be unable to handle the display!I hope this is not a reacuring problem, as it may cause me to get rid of this very good phone. and similar problems for anyone....share the sorrow!! Peace! I bought this phone for my wife a couple of months ago, the slider started to get stuck and runs down and up easily when the phone is turned upside down..
Second AND MOST IMPORTANT, the screen switched to mirror display which means from right to left, and yesterday the screen became all white, and the keypad doesn't work anymore, take my advice. 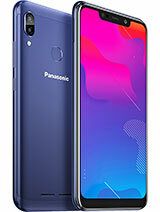 Don't buy any of Panasonic Products when it comes to mobiling. 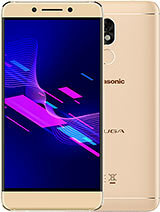 Nokia, Sony Ericsson, Motorola, Siemens, Samsung, they have more experience in mobile telecommunications, and their devices don't face such problems..
sir, i have bought panasonic x500. it is so nice to work, but i cant set the gprs settings, so i am unable to browse. i kindly request you to explain about the settings via mail. my network is airtel.